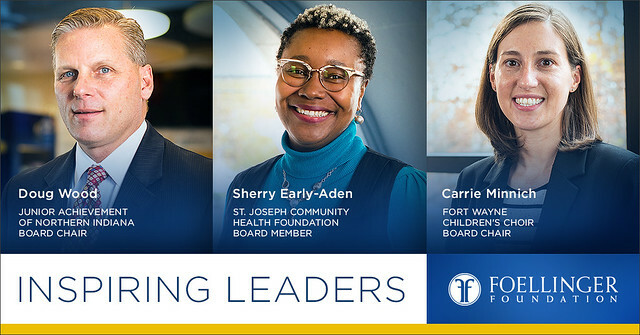 Foellinger Foundation conducted a leadership conference, Our Language of Leadership, in October to provide nonprofit leaders with the tools and resources to empower their organizations. The conference focused on adaptive leadership and having the power to transform Allen County. Carrie Minnich was selected as an Inspiring Leader and shares her viewpoint on how we can help more people in our community and what inspires her as a leader. The Foundation, with the assistance of One Lucky Guitar, did an outstanding job capturing several of our local leaders in Fort Wayne. Please take a moment to view the videos created.